Welcome to Fire Food N’ Fun! 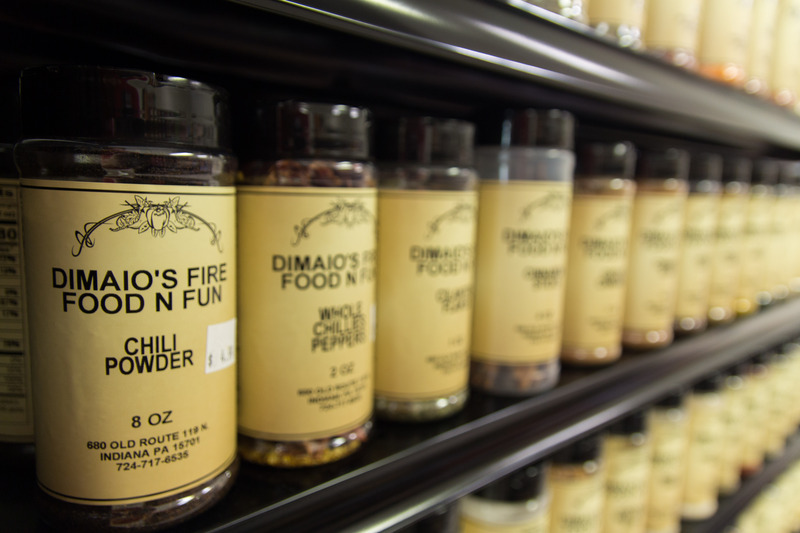 Dimaio’s Fire Food N’ Fun is a store dedicated to people who love to cook, especially outdoors. Located in Indiana, PA – we carry a full line of rubs, spices, sauces and ingredients for the BBQ enthusiast. We are a certified Weber Grill dealer and also stock Traeger Pellet Grills, Bull Outdoor Products, Masterbuilt and Weston Smokers. In addition to our full line of signature spices, we carry a full line of Delallo Products including delicious rubs and sauces. We are an authorized Case knife dealer and have well over 50 premium knives in stock. We also have products for sausage making, canning supplies, crocks, jerky and bologna kits as well as white mountain ice cream freezers.